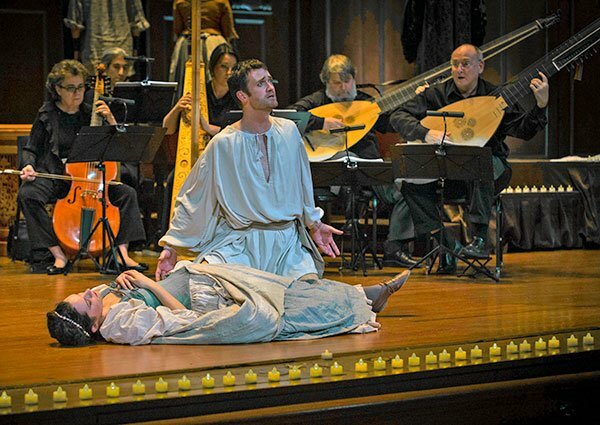 Boston Early Music Festival’s presentation all three of the extant operas of Claudio Monteverdi (1567–1643)—“The Monteverdi Trilogy”—with a cohesive artistic and scholarly vision constitutes a signal moment in the modern revival of Baroque opera. Ulisse, Poppea, and Orfeo have inspired a virtual explosion of performance and scholarship over the past half century; BEMF’s internationally respected leaders—Musical Directors Paul O’Dette and Stephen Stubbs, Stage Director Gilbert Blin, and Concertmaster Robert Mealy—together with an all-star cast of singers and instrumentalists, will offer these operas to the general public and to Festival participants between June 7th and 14th. BEMF’s “opera page” is here. BMInt had conversations with the BEMF publiscist and stage director. BMInt: What about tickets for the public for BEMF events? I gather that there are 10,000 visitors competing with Bostonians for seats, and it looks like Orfeo is already sold out in Boston, though the runout in Great Barrington is still available. Brian Stuart: We have started a waiting list for tickets to Orfeo in Boston and we’re very close to doing the same for the Poppea performances as well. Some tickets will open up in the final week, so we definitely encourage people to contact our Box Office as soon as possible. We do still have tickets for Orfeo in Great Barrington on June 21st, but those are filling up fast. How unusual is it to feature three staged Monteverdi operas in a week? BS: It is quite rare to see all three operas in a single event. What does seem to be perhaps unprecedented is for all three works to be presented with a consistent directorial team and what largely amounts to resident company of singers and instrumentalists. Every prior presentation we know of was either one or the other: either a festival but with different directors, or directors collaborating on a cycle presented over several years. Virginia Newes: BEMF is known for its authentic reconstructions of Baroque operas. Is this a valid characterization, and how do you understand BEMF’s mission in these productions? BS: With the staging of our opera productions, we aren’t trying to reconstruct a specific historical performance. Rather, what we strive for is a production that is informed by intense research and scholarship into the staging practices of the period. In most cases, a scrupulously accurate recreation just isn’t possible, but we can use a thorough understanding of what we know about their production practices to inform our approach to the work. We strive to incorporate this research and scholarship into all aspects of the production. Is there very good documentation for what the scenery, costumes and lighting looked like? Gilbert Blin: Well, there is enough, let’s say. Of course a little less than later in the 17th century and of course even less than in the 18th century. There is a scarcity of documents in relation to the amount of time which has passed. Because as we speak, documents disappear. Each day something goes to dust or is lost in a place gets damaged. For example, today we were singing and the glass of water went on the director’s score and the director’s score is damaged and therefore in some years when someone would want documents about our performance will have a harder time reading the director’s score. Well I guess what the question really meant is that if Monteverdi were to walk into the theater would he have culture shock, would he recognize his work? Well musically I hope he would. Visually I think the most striking difference would be the light effect. The costumes, the sets, the way the bodies are moving on stage is rather close to what we know about the performance in early and mid-17th century, but the level of lighting, that is a big difference. Because if you put aside a performance taking place on the square or in a garden with the natural light which—as far as we know hasn’t changed that much, although we may wonder—as soon as we are inside the building, it’s different. Even if you don’t electrical lighting, the glass we use on our windows is much more translucent, giving much more light inside our rooms than it was at the time. Even more for stage performance using candlelight, there was not only a difference in the level of luminosity but obviously an ever changing picture because the flickering of candles could bring a permanent movement of any object to the eyes of the audience. That I’m certain would be the biggest change for Monteverdi if he came to a performance today. And “authentic” is a very difficult word to define when we are speaking about performing arts. What is authentic first is that it’s human, it’s real people doing it. That’s the starting point of authenticity. It’s not recorded, it’s not emphasized by modern technology. It’s real singers and real musicians doing real music for a real audience. That is the base of authenticity. I do think that it brings the performance to a label which is the starting point of any kind of drama and musical experience. We are tempted today in our fantastic age to deal with music more often than we should with media which are not relevant to the music itself. And I know it’s obvious for all of us but I think we need to bring that point forward at the beginning of this interview. For lighting, I’ve been working with Lenore Doxsee. We’ve decided to put the sources of light in the spots where they were in the period. So of course everyone knows about the footlights in the front of the stage but also behind each flat (or shutter) there were hanging candles or little oil lamps, and we have been observing that placement. That is really a specificity at our attempt to get closer to the visual impact of the period performance. Historically informed? Yes, definitely our shows are historically informed. But they are also historically inspired because we have to also deal with our technology today, and the expectation of our audience. So, you’ll have the lighting sources from the same angles as originally but will you have a variety of brightness and color harmonizing with individual scenes? Absolutely. They were doing light effects. I mean they were not setting the light source which would stay the same for the full performance. They were hiding some, putting some color glass to have some color effects, like we do today with gels and all this plastic product. So we know they were already keen on offering a variation in light that was fed to the audience. But in a narrower range? The light is an interesting phenomenon because it is the impact of the light which we experience; we look at the source of light for itself, we see what light is doing on costumes, on sets, on bodies of actors. We are trying with great care to have all the information and the inspiration with the documents and knowledge we have of the light during this period relate it with our audience and give them the a flavor of what the audience of the past would have experienced. But we have to be careful because we are still at the moment where 50 or 60 years ago when people were listening to early music instruments they were thinking well why do you play this instrument that has less color that has fewer possibilities? Why do you play Bach on the harpsichord when it’s so beautiful on the piano because you have more color? Well it’s the same for the stage, people will need, I think, more years to get used to what would be the implication for period lighting. What kind of sets would have been used in Venice? In Mantua? How were scene changes effected? What mechanical aids were available? Baroque sets are a series of canvas stretched on wood frames with painting on it. Well that has been going on until the Second World War. It has been changed only very recently and there were even some small theaters who are keeping sets from previous decades and still running shows, including modern plays or creations with these types of scenery. So scenerists have been using the same vocabulary and the same grammar for centuries. It’s only very recently that people went to volumes and structure and projection and all these kind of new things that people are so used to seeing. We know for sure that Orfeo was not written for theater, it was written for a room in a palace which had a huge and very rich orchestra and a large group of singers. We know it was a dramatized performance because it was reported that it was exceptional that the singers had learned their parts from memory and were able to perform without their books in their hands. So there must have been a theatrical flavor in it. We know for sure that this room was not equipped with any kind of sets. It was not a public performance. It was created for a group of academia, of highly educated gentlemen who were speculating about antiquity and art and music and the value of the humanism of the renaissance. It was only after the success of this tryout/performance that they thought to bring this to more people. So they immediately played a second performance in the same room which was clearly said to be for the ladies of the city. They thought it so beautiful that it should be further shared, and then, for a third performance, they planned to spread the work and invite all the diplomats and ambassadors and the neighborhood dukes and princes from around Mantua. But it was never supposed to be in a theater. As far as we know. There was no document saying that costumes were made, and I honestly think that considering the experimental project they wouldn’t have invested in costumes for such performance. When they brought in the diplomats and it became a more political affair so decorum must have been more important and they may have taken from the wardrobe of the palace some costume from a previous show; the costumes of Orfeo were rather straightforward. You have the shepherd, you have a series of gods. These characters had been appearing in many intermezzi before for weddings or for birthdays, odes and so on. These costumes were part of the wardrobe of a princely court at the time. Are you going to have the musicians dressed formal clothes of the period? We want to make our players comfortable, so they will not be dressed in period costume, they will be in modern costume. Why is that? It starts for example with people with glasses. How do we deal with people who need it to read the score to play? There is a problem of the wrist. These costumes were often having long lace cuffs and today people are used to playing their instruments without such impediments. Also in our orchestra are a lot of ladies, ladies were not in an orchestra in Monteverdi’s time. Yes, they were practicing music, but not playing professionally. So if we would have had to respect that we would have had to put the ladies in male costume. There is the problem of the wigs which are hot and difficult for musicians. And there is the problem of facial hair. In the time, musicians would not have had a beard in a court orchestra. So all of that would have brought us a lot of compromise which would have certainly jeopardized the quality of the musical performance for our orchestra. So we don’t have the orchestra in costume although they are on the stage and are integrated with the singers and the dancers to create this fusion which is so unique for Orfeo. So there will be dance? There is some dance. 11 singers are dancing, and there is a dancer with a lot of solos, because Monteverdi wrote a lot of dance tunes. The singers are in period costumes and baroque costumes, and indeed, there are lots of costume changes. Okay, but then you go on to Poppea which is fully staged. For almost 40 years I’ve been shining the light for Monteverdi. He became a known and respected composer in Venice due to his function at San Marco where he was certainly devoting his time and art to scriptures and also the Catholic Church: the ritual, daily, weekly, monthly, yearly; a very complex, as we know, calendar of different types of performing and settings and a different type of text. 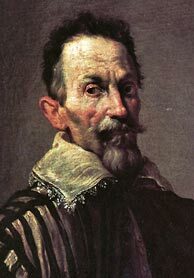 That was his major activity until, in 1640, a poet thought that Monteverdi should write an opera. 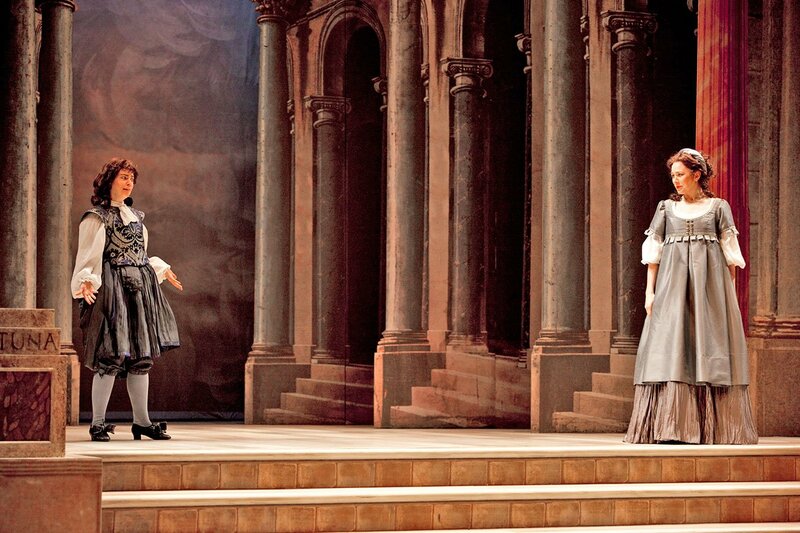 Opera started in Venice in 1637 so we are already at the birth of public opera as we know it. The specificity of this enterprise is that in Venice, opera was not a patronage of a Prince or even a city; they were a private initiative and a community enterprise. Basically everybody could buy a ticket and go and see an opera. The economic relation between audience, patrons and show is still the same. Everybody can go see the piece, you don’t need to be a prince, you don’t need to be invited and there is a different range of prices. You could have a very expensive seat or you could have an inexpensive standing place. As soon as there is a commercial enterprise, there is competition. And if a company starts something, another group of people say, well there is money to be made there let’s do that too. And that’s why within a couple of years in Venice there were three or four opera houses. And even five during one time, which is amazing considering the size of the city. Venice was already a commercial center of the world, not only of the Mediterranean but also of the world; there were a lot of movements of boats in the harbor; there were a lot of diplomats. Venice was a republic, it was also making a big point not to be completely affiliated with Rome and the Pope, so it had a kind of special place in the western world. Carnival in Venice extended longer than anywhere else in Europe, allowing music, public performance, dancing balls, and gaming. So the whole mix of art, travelers, and money was creating a big movement. Venetian opera started in this context. So when you have to please not only one patron but a larger audience, you should appeal to a larger crowd with different means. Music is very important. 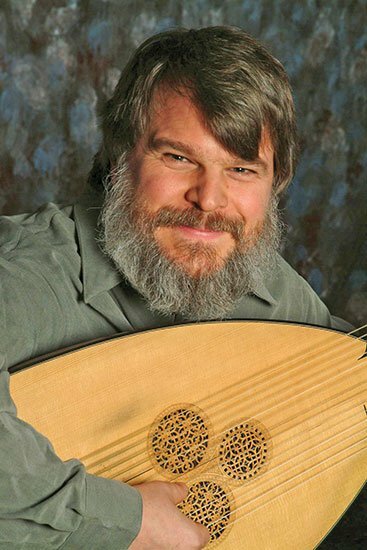 If we bring a very famous composer who already has a reputation like Monteverdi, you are sure to have a series of expensive seats already sold, in a way. The poets controlled the elites of the public and were well connected with different people in the city where there was nothing such as a professional writer at the time. Everybody was writing poetry including opera libretti. They were also involved with the administration of the city, so their network was very strong. And you have to appeal to people who do not necessarily have a high knowledge of music and poetry. Therefore the visual element started to explode, to expand in a very big way. Not only were there a lot of fancy costumes but there was also the need for sets which changed. When opera started in Venice, they sometimes used buildings which had been designed for dramas, but initially they were re-fitting the stages and rebuilding all kinds of wooden structures to make the change of scenery possible. Monteverdi fits in this direction and he creates Ulisse with that in mind. Ulisse is an opera which has a lot of changes of sets and in our performance we do that. We respect the change of space, we respect the major element of innovation of opera scenery, which at the time, was the sea. Of course Venice’s symbolic union with the sea occasioned great festivities and lavish pageants. And people went to the theater to see how the sea could be made by man. Do you have a mechanical wave machine? Rolling or back and forth? We have the back and forth system, the rolling waves need a very deep theater which Boston doesn’t have, as you know well. How early do you date the first fly loft? I think about 1637, 1638. So flying scenery would be new in Monteverdi’s time? For them, yes. In Venice they started immediately because for them, that was the point; they wanted to make a show. The idea for us of opera is as a masterpiece, a perfect balance between poetry and music. For them it was a perfect balance between poetry, music, and scenery. The Venetians have always had the musical element and the visual element. Thus Gesamtkunst came long before Wagner? Oh definitely. At this period that is what they were trying to achieve; I am sure of that. Monteverdi came into this with all his knowledge and experience and musical sophistication and created Il Ritorno d’Ulisse in Patria at this period in 1640; it’s his first attempt to do a full opera—five acts and a prologue. And that’s the version we are doing, so it’s important because these divisions allow and even require these changes of set. How different will Poppea and Ulisse look? What are the principal differences in plot and characterization between the two Venetian operas, Ulysses and Poppea that affect your concept of their staging? Although gods and goddesses play an important part in the drama of Ulisses, the human drama of the main protagonists, Ulysses and Penelope, it is always foremost. Orfeo, on the other hand, is based on an entirely mythological story with little character development. How do you approach this work, which will be staged in Jordan Hall as a chamber opera? Ulisse is the first opera of Monteverdi’s in the Venetian style. I proposed to do it in a much more close to the early Venetian style of opera. Poppea is a much more psychologically written piece—Monteverdi had more experience, he did already one opera, he did a second opera which unfortunately we lost, we don’t know where the score is, we only have the libretto. This third opera is the Venetian style and he spent his last year writing it, and he clearly mastered his comedy skills and tragic skills musically with much more accuracy. Ulisse because it’s coming from the book of Homer, The Odyssey, has a much more epic, dreamy color and atmosphere and we’re trying, in the performance, to put that in relation with the use of the opera house in Venice, so with a change of sets, a certain way of walking on stage which is more solemn. There are very few scenes of comedy in Ulisse, there is much more comedy in Poppea. The two pieces are very different, different librettists, and also there is clearly a different literary style. So Poppea is done much more in focusing on this difference of color in the text and music. But are you using any of the same scenery in the two productions? Yes, but we don’t have any change in Poppea. We are using a very simple space because the descriptions which are given by the libretto are very vague. It’s Roma, Roma, or Roma. It’s a kind of unity of space as it was, so trying to, by following the so called Aristotelian rules, trying to respect this. We don’t have enough information about what was the difference between Roma that and Roma this, it’s not very clear. While Ulisse, being by definition, the story of the end of travel, coming to Ithaca from the sea, going to the palace to regain the royal position and all this aspect, it’s stronger and more easily readable, I have to say. What is fantastic with the work on Ulisse is that you can see how skilled the librettist and Monteverdi have been in understanding in adapting Homer. For us to be able to go back to the text, we are sure about the understanding about what they wanted to speak about, so that’s gratifying. Do you think your scene changes are going to be more fluid than they were in the time of Monteverdi because our machinery is more advanced? It is difficult to say. We are using a system which has been conceived by our technical director, Gordon Manson, which has been proven very effective and silent in our Almira production two years ago where we had also quite a few changes of set. People in the composer’s time were not as picky as our audiences today. The scene changes were very noisy, at the time. People didn’t mind that. The creaks of the woooden system were, for them, part of the charm of this huge machine. We have to remember that Venice was known to be able to build fantastic ships, vessels, boats—the people just had to move from the workshop next door to build that—and as we know the first stage hands were sailors. So, the old technology of boat making and this complex system of lifting up sails was used for the technology. Today, people don’t want to be disturbed in their musical experience and want to have things perfectly silent and that’s the way we will do it. In Monteverdi’s time would they have always closed the main drape or some other drop in between scene changes? How are you doing it? We do, we have a system which is a triple but inspired by some use at the time of different drops which give different length and depth to the scene. 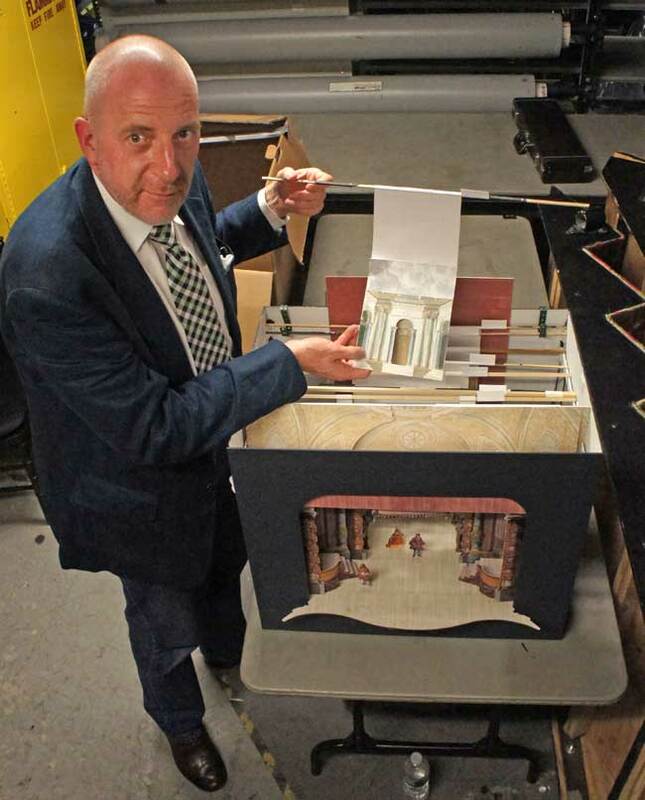 It’s very different for Poppea because in Poppea we have some sets that were used a little later in 1647. Poppea was performed in Paris, in fact, and we have the letter of the castrato who created the role of Nerone a couple of years before in Venice and said we are doing the opera but without any machines. It’s very interesting because it shows that in their minds the scenery was a part of the experience of the performance but it was not necessarily an integral part of the piece itself. In the score, although there is some description of movements of sets, or in the libretto, they are rather short, the descriptions. They were developing use of machinery and costume at the time and it was a job of a different type of person than the poet, musician. We have not yet found this from Venice, beside inventories, and bills. We haven’t yet found the book of the stage director. So who was the first identifiable stage director, when did this happen? We have a fantastic text of 1630 by an anonymous writer which is called “Il Corago”—which could be translated as the ordinator or the director of events—which explains how to stage and do a lot of these performances for patrons or later for public performances. I’ve been inspired by a lot of these comments in this text. They are sometimes obvious for us, like: people should know their roles, they shouldn’t sing with their books, they should have memorized the words and the music. Some are more specifically about a certain way to move on stage, something very difficult to record. Even today if you would write to yourself the way I stand in front of you now and someone would try to reproduce your description as accurately as possible a few days later, it would not be as I did it. It’s very difficult to write down how people move and how people display their bodies in a space. Well there was no choreographic standard language then as there almost is now. It came much later, at the end of the 17th century in France and it took really some decades to be able to develop. Paul O’Dette talked a little bit about how if you take some of these attitudes too literally you end up with stick figures who just declaim in a stilted way. How do movement and gesture help convey emotion and meaning in the early Baroque acting tradition? Is your direction inspired by these conventions, or do you find them too dated to be acceptable to modern audiences? Are the movements just completely stylized or will they be human, will the actors interact with each other or will they be always singing to the audience? No, that’s a misconception about people who misread the text and don’t have enough knowledge of the context of performance practice during the late 16th early 17th century. You have to see that we are at a time where some of the biggest geniuses in the arts in literature and music are active. It’s all about movement, it’s all about reason for movement, reason for colors. In the Baroque the human body was at the center of the artist’s experience. They were enjoying people performing in front of them, including obviously the Catholic pomp and circumstance on the spiritual level. So for a small secular level and more immediate type of performances, the expressivity which is so important in the text and music is still at the center of our world. The movements are stylized because they are part of an aesthetic code, like the music is, also the text. It’s easier with some rules, which are clearly identifiable by the audience, but they must always be motivated by some psychology. Could you walk across the stage as Monteverdi’s actors would have and then walk across the stage in the way it was done 200 years later and how much like a ballet dance is the normal movement and how much like a normal human being walking? There is this aspect where the music is helping us. We take inspiration from Monteverdi’s ideas of musical pacing, so there is movement which is indeed stylized and closer to dance, but then in some other moments the depiction in the text is much more in connection with the affect or the feeling or the idea. That needs to be read without any obstacle between the viewer and the singer. There is a necessity of clarity in terms of what’s going on. The idea that a Baroque opera is just to be declaimed in a certain position in a certain type of costume: that’s a fraud. But you are instructing actors on what to do with their hands? I am surrounded by a great group of different types of specialists, including a choreographer, and a gesture coach, who are much more connected to the text, and these people work with the singers—whom sometimes I call actors because we ask a lot from them—to define and elaborate a language which makes an opera performance such an event. People wouldn’t have paid for seeing that if that was not something very special. And presumably all of the performers are well-versed in the style? Most of them have at first a good training in music and came into this world through music. Music is well-recorded on the score and it certainly is the most accurate source to understand what the style is about. They have also developed a rich visual vocabulary so they are definitely well-trained in this art. It’s is very precise. 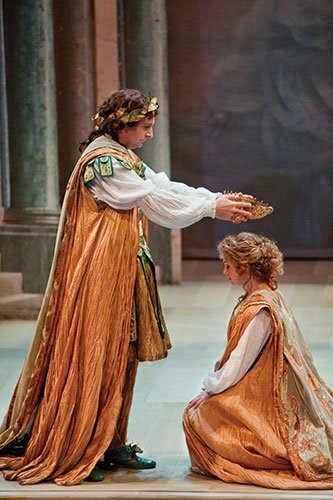 We have been working this way for example on the series of scenes with Shannon Mercer, our Ottavia in Poppea so the empress would be repudiated and banished in exile. There was a huge amount of work; if you came to see the rehearsal l today and tomorrow it’s the same thing but better, and very clear. Everything presents with a strong system of lines in the space and also gesture of the bodies, the direction of your shoulders and intensity in your eyes are extremely neat and precise. You mean précieux? Precious yes. Yes if you understand that the word shouldn’t be pejorative or dismissive. If you go in a church built in the 1630s, it is precious. You go to a palace it is precious, you look at the costumes of the period they are definitely precious. Why? People at the time were valuing creative work. It could be a simple object, a hand-painted plate, but it could be be an elaborate carriage for a pope. So, the time and the care and the refinement put in the making gesture was at the center of their culture. So refinement is the word. Refinement is the word absolutely. And it’s our task to make it this way and not camp.